Less than a year after swimming with the sharks on the popular TV show Shark Tank in January 2014, husband-and-wife team and printing company owners, Julie and Brian Whiteman, sold their digital photobook app, GrooveBook, to Shutterfly for $14.5 million. When the Whiteman’s pitched their concept on the show, two of the “sharks” bowed out of the bidding because they were concerned that the GrooveBook deliverable is an old-fashioned printed product and also that the production was tied to the Whiteman’s printing operation. (I suspect that the two reticent sharks regret not taking the plunge and that they let this one get away.) 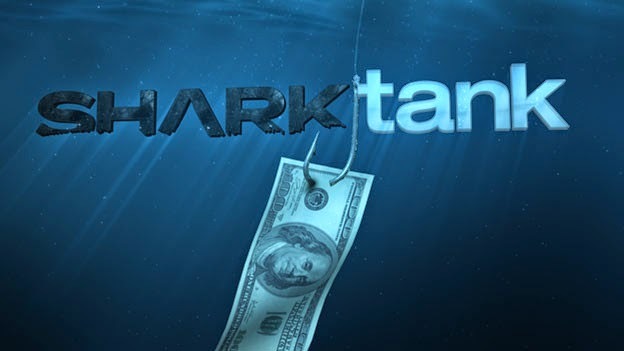 The Whiteman’s wisely turned down an offer of $750,000 from another shark, electing instead to accept a much smaller investment from big fish investor Mark Cuban in return for certain rights to market the service to other photo sites. The notoriety and exposure from the show created an instant and huge demand for GrooveBook’s Android and iOS compatible app that serves as the front-end for subscribers who upload photos from their smart phones and receive a printed and bound photobook each month. The number of paid subscribers jumped from 18,000 to over 500,000 after the show, with over 1 million downloads of the app. The Whiteman’s intimate knowledge of printing and binding processes led to an “aha” moment when they realized that using a grooved spine made the finished books flexible. This in turn allows the books to be mailed bulk rate through the USPS, rather than delivered via much more expensive alternatives. Combining the cost advantages of bulk mail delivery with the scalability and mobile-enabled user interface proved to be the winning combination for the sellers. If all the current subscribers stick with the service, the company is on-track to meet its projected run-rate of $18 million in revenues, and Shutterfly will have paid only 80% of projected annual current revenue for this rapidly growing service. As for the Whitemans, the price equates to more than 22 times the company’s revenue prior to their dip in the Shark Tank. Consolidation and global roll-ups continue at a brisk pace in the packaging segment. Multi Packaging Solutions, a portfolio company of Carlyle Group and Madison Dearborn Partners, acquired the North American and Asian print divisions of the AGI-Shorewood Group from Atlas Holdings. The seven acquired plants boost Multi Packaging Solutions’ global capability to more than 50 manufacturing plants in the US, Europe and Asia. Before November was out, Multi Packaging Solutions completed another transaction, adding the specialty packaging company Presentation Products Group in Arbroath, Scotland to its roster. Hilex Poly acquired a new name, Novolex, concurrently paying $600 million to acquire flexible packaging manufacturer Packaging Dynamics in Chicago, Illinois. With backing from Wind Point Partners since 2012, Hilex Poly acquired Duro Bag Manufacturing earlier this year (See The Target Report – June , 2014), and the flexible packaging unit from the Clondalkin Group in April, 2013. The Clondalkin Group, headquartered in Amsterdam, shed more assets last month, selling its Specialty Packaging Division to UK-based Essentra. Included in the sale were US and European packaging manufacturing facilities. Eureka Growth Capital entered the packaging market with its acquisition of Jansy Packaging, based in Congers, New York. Jansy Packaging provides packaging design and outsourced management services, coordinating the production through its third-party suppliers overseas. Courier Corporation purchased a majority interest in Brazilian digital textbook printer Digital Page Grafica e Editora for $9 million, in a recast deal that increased its share of the company from 40% to 60% due to changes in the condition of the company. Courier has previously licensed its proprietary textbook customization platform to a Brazilian textbook publisher, and plans to use this latest acquisition as the production platform to produce the printed books. Commercial printer/MSP Graphcom, in Gettysburg , Pennsylvania, expanded its range of product offerings with the acquisition of Designs of the Times, an outdoor signage company in Frederick, Maryland. Victory 360, an MSP in Baltimore, MD, acquired Valley Printworks in Middletown, Maryland. Valley Printworks specializes in data management and printing services for non-profit fundraising campaigns, and has provided production capabilities in the past for its new owner. Midstates Printing in Aberdeen, South Dakota acquired A to Z Printing and will merge the acquired operations into its previously acquired Jacob North unit in Lincoln, Nebraska. Midstates Printing acquired Jacob North in June, 2013 (See The Target Report – June , 2013). Complemar Partners, headquartered in Rochester, New York, has acquired the printing operation of CP&i in Buffalo, New York. Complemar plans to consolidate its own Buffalo-based print production in CP&i’s existing facility. Reimold Printing in Saginaw, Michigan, is merging nearby Campbell Printing into its operation. New Media Investment Group announced the acquisition of Halifax Media Group for $280 million, bringing an additional 36 newspapers, including 24 dailies, under the New Media umbrella. Halifax’s properties are primarily in the Southeastern US and will be added to New Media’s portfolio of more than 450 community newspapers, 370 websites and six yellow page directories. The TVA Group, a subsidiary of Quebecor Media, is acquiring the Consumer Magazine Group from Transcontinental for $55.5 million. As part of the deal, Transcontinental extended its contract for the printing of the titles. In its explanation of its rationale for shedding the editorial and ad sales functions of these predominately French language titles, Transcontinental noted that the company is focusing on the local advertising markets it serves through over 180 community newspapers it publishes throughout Canada. CCL Industries acquired Label Connections in St. Neots, UK. CCL paid $2.4 million for the manufacturer of pre-diecut label stock which reported revenues of $4 million and EBITDA of $600,000 (4x EBITDA, 60% of revenues). In another, but much larger deal for a producer of label stock, Platinum Equity paid $170 million for MACtac, a division of Bemis Company. 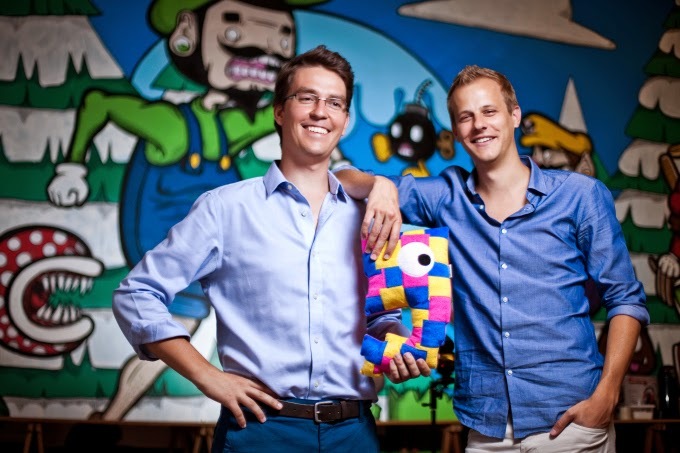 Vistaprint recently came calling on Printi, a two-year-old Brazilian startup. The company was founded by a pair of young (and now apparently very happy) entrepreneurs who met while working together as interns at Goldman Sachs. The millennial-generation buddies realized that Brazil was wide open to introduce automated web-to-print aggregation technology. They borrowed ideas from the more developed market in Europe, and modeled their company essentially as a Vistaprint look-alike. It turns out that the two partners’ laser-like focus on developing the front-end technology was a great move. The company built out the ordering and customer service systems, outsourcing the actual print production. That strategy has resulted in a tremendous return on the founders’ initial $50,000 investment: Vistaprint’s investment of $25 million for a minority share of Printi imputes a value for the whole company in excess of $50 million. With the front-end software and customer support system in place, the company will use the majority of the capital infusion to build their own “Vista-style” automated factory. A portion will be used to buy out the first round venture capital investors, who reportedly tripled their investments in two years. The founders report that company has been operating at “more or less break even” so we unable to infer a multiple of EBITDA. However, looked at in terms of annual sales, which was disclosed, the price paid equates to a value of more than 16 times last year’s revenue of $3 million. If the company meets its goal of $10 million sales in 2014, the multiple paid on the projected sales is still an extremely respectable 5 times revenue. For the printing industry, these are extraordinary numbers – clearly this company is being valued for its potential growth and as an advanced marketing technology play that just happens to have printed products as the output. This is not the first time this year that Vistaprint has pulled out its checkbook and paid dearly for the opportunity to acquire customers in new global markets. This past April, Vistaprint acquired Italian Pixartprinting which, similar to Printi, had developed and deployed a proprietary online customer-facing automated ordering platform. In that transaction, the seller had an impressive EBITDA of 26.8% of revenue. Vistaprint paid 2.6 times revenue, 9.8 times trailing EBITDA. (For more about that transaction and multiples in the printing industry, see The Target Report - April, 2014). We have noted in the past that while private equity investors in general eschew the general commercial printing industry, many private investment firms remain very interested in the packaging segment. Connecticut-based Saugatuck Capital joined up with mezzanine lender Ironwood Capital to provide the capital for a generational transition at Pharmaceutic Litho & Label, a specialty printer in Simi Valley, California that produces labels for pharmaceutical and medical device companies. Arbor Investments, which has appeared on our deal log three times on the buy-side over the past three years, exited two of its companies, selling Midland Container and Great Lakes Packaging, both located in Wisconsin. The buyer was privately held Green Bay Packaging of Green Bay, Wisconsin. Both of the acquired companies produce corrugated products, including boxes and displays for retail. (For a discussion of activity in the packaging segment, see The Target Report - March, 2014). In a rare event for Warren Buffet’s Berkshire Hathaway, the conglomerate sold off one of its subsidiary companies. World Marketing, which was part of the BH Media Group, was sold to an investment group headed by Robert Kraft. While BH Media has acquired a broad portfolio of local and community newspapers, it decided to exit this direct mail provider which mails more than 1 billion pieces annually. The Mittera Group, based in Iowa, acquired commercial printer J.B. Kenehan in Wisconsin. This deal launches this printer into the $100 Mil+ plus club, now with a reported $135 million in projected revenues. (See The Target Report - September, 2014 for our commentary about the return of roll-ups to the commercial printing segment). This is the fifth time that the Mittera Group (and/or its subsidiary ColorFx) has appeared on our deal log in the past three years. DG3, a diversified provider of global print and document services headquartered in Jersey City, New Jersey, stayed close to home, acquiring Marange Printing and MPI Mailing Services, also based in New Jersey. Two other New Jersey companies, Omega Specialty Products and Print Art, both based in Egg Harbor, announced that they have merged. Transcontinental, the Canadian powerhouse printer and publisher, announced that it will be closing two printing facilities, in Edmonton, Alberta and Concord, Ontario. Local and community newspaper are the bright spot in an industry in which the major metro dailies are beleaguered by huge decreases in advertising revenue and declining readership. Tribune Publishing, only recently spun off by its parent, announced that it has acquired all of the suburban titles from its long-time Chicago rival, Sun-Times Media. As a sweetener to the deal, the Tribune locked up the printing contract for the daily paper retained by Sun-Times Media, the Chicago Sun-Times. Town Square Publications, a subsidiary of Paddock Publications, which in turn is owned by the Daily Herald Media Group in Illinois, acquired Village Profile, a national publisher of specialty publications sponsored by chambers of commerce. Canadian newspaper publisher Postmedia acquired its rival Sun Media, bringing 175 newspapers and related websites into the fold. In preparation for, and subject to closing of its pending sale to Verso Paper, NewPage Holdings agreed to sell two paper mills to Catalyst Paper Corporation. The divestiture is a move to satisfy anti-trust objections from the US Justice Department. In what appears to be a great bargain for Canada-based Catalyst, the mills were sold for a combined price of only $74 million, while NewPage retained the environmental and pension liabilities. For its part in preparing for the merger with NewPage, Verso Paper announced that it will be closing its coated printing paper mill in Bucksport, Maine.